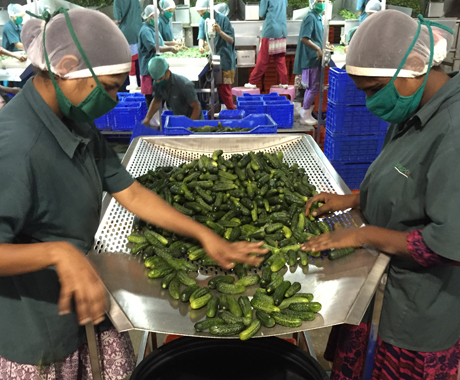 With over 2000 farmers covering 5 regions in Karnataka, Indus Vegpro cultivates and processes gherkins, chillies, capsicums, carrots, cauliflower and celery from our FSSC 22000 processing plant in Davangere, India. 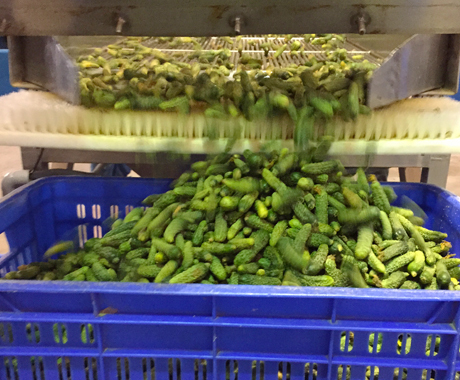 Gherkins or cornichons as they are known in Europe, are cleaned, graded, soaked and washed before being put into food-grade High Density Polyethylene barrels. 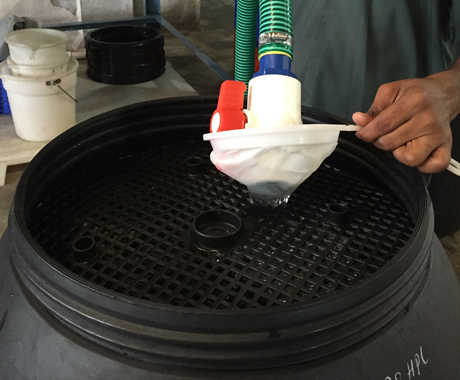 Barrels are sealed with a gasket and O-ring to avoid any external contact. 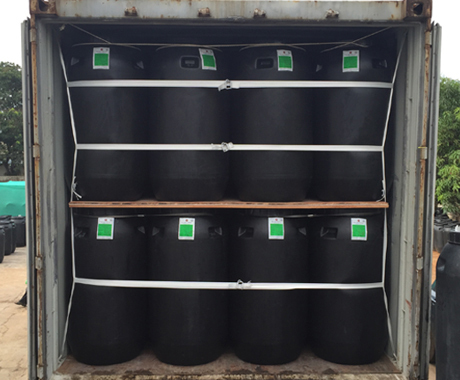 We supply gherkins in brine, natural alcoholic vinegar or acetic acid. 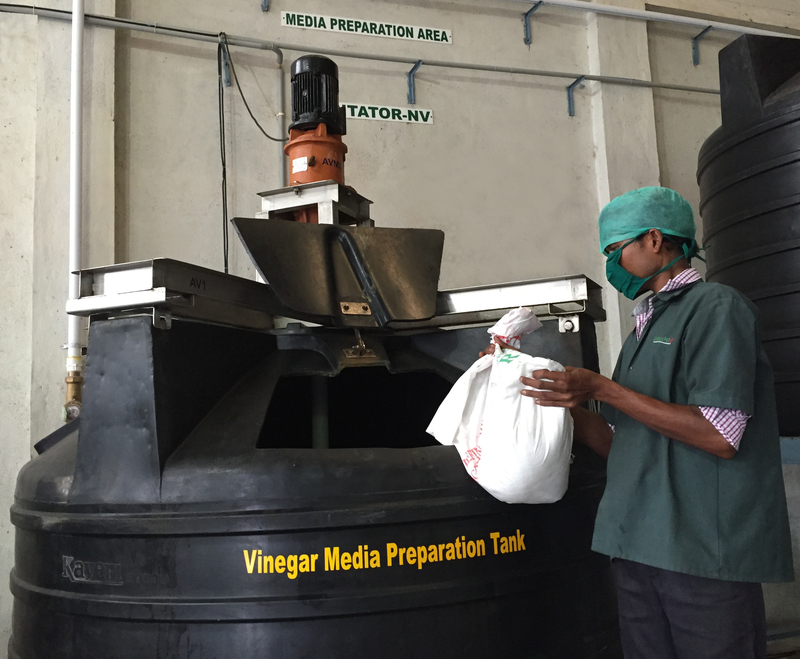 A mix of vegetables is processed and packed in natural vinegar or brine solution to produce "Jardin" Vegetables. 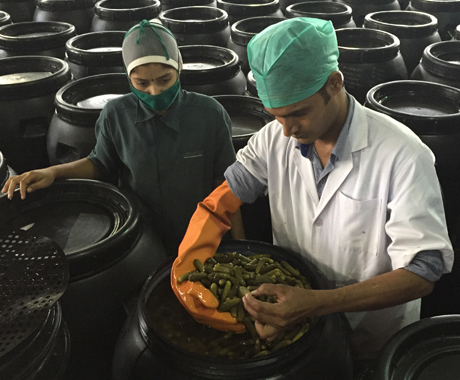 Celery is processed and packed in brine, natural alcoholic vinegar or acetic acid. 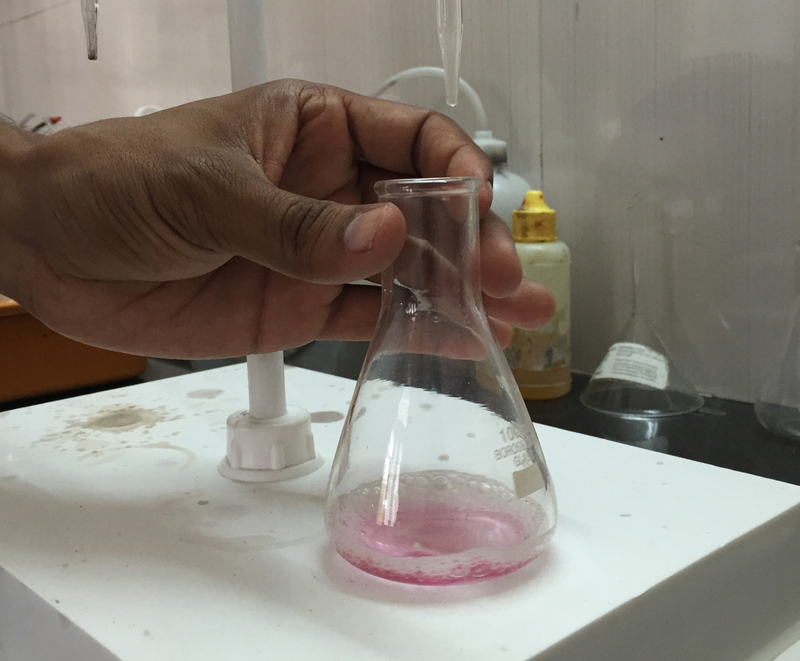 Used mainly in the production of Jardin vegetable mixes. Carrots are processed and packed in brine, natural alcoholic vinegar or acetic acid. Used mainly in the production of Jardin vegetable mixes. 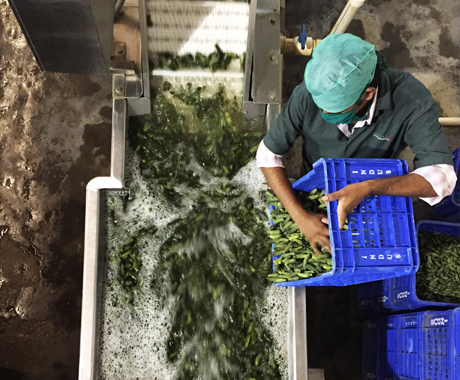 Chillies are processed and packed in brine, natural alcoholic vinegar or acetic acid. 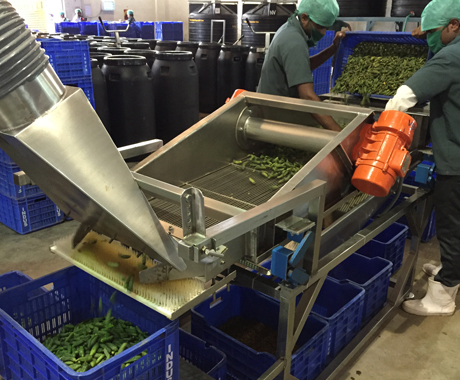 Red Capsicums are processed and packed in brine, natural alcoholic vinegar or acetic acid. Cauliflower is processed and packed in brine, natural alcoholic vinegar or acetic acid. Used mainly in the production of Jardin vegetable mixes. 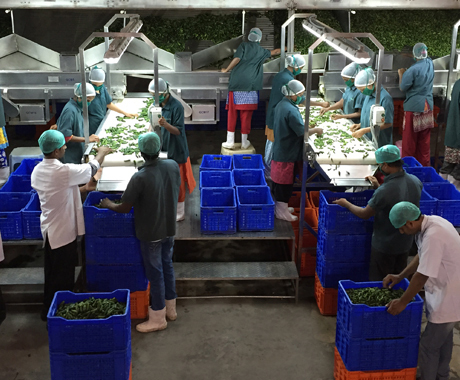 Setup in 2014 by hands-on industry experts with a huge amount of experience under our belt, Indus Vegpro owns a 30,000 sqft state of the art processing unit on 3 acres, operated to the highest international standards. 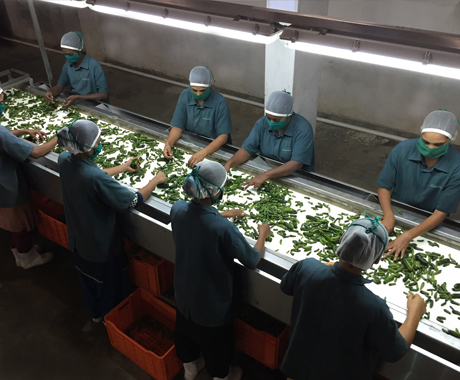 We have systems and practices in place to ensure our farmers achieve the highest yields and our products meet the exact requirements of our buyers. We are proud to list top brands like Unilever Best Foods (France), Mt. 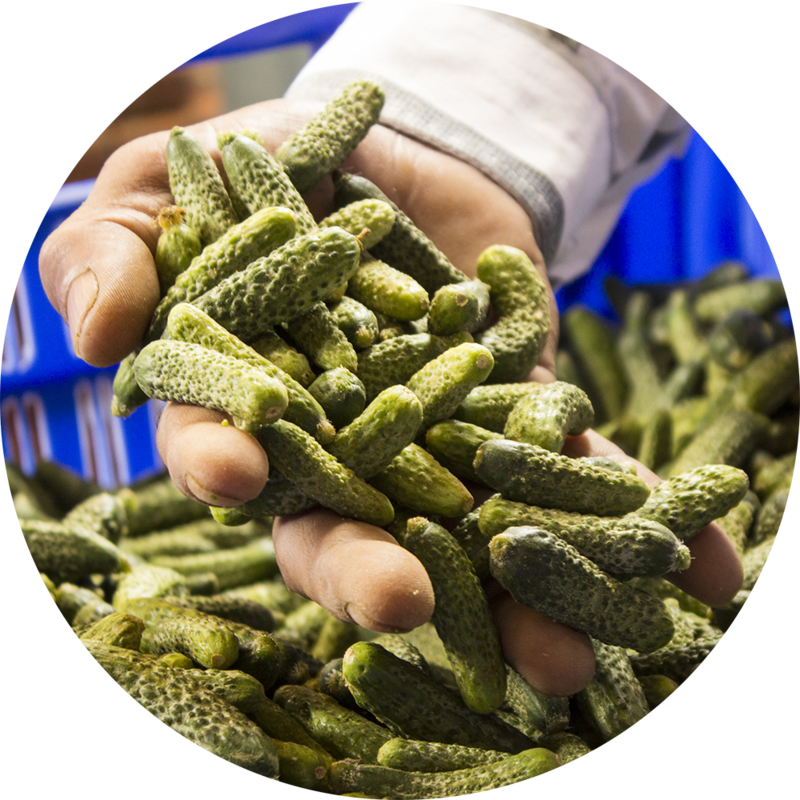 Olive Pickles (USA) and Vlassic (USA) as our customers. 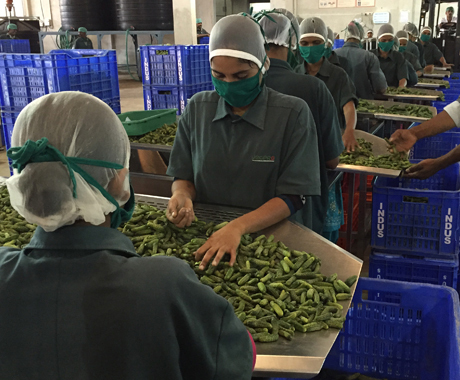 Indus Vegpro is certified by the Food Safety and Standards Authority of India. If you need some pickled vegetables, we’d love to hear from you! Just fill out this form and we'll get back to you within 24 hours. If you don’t trust online forms or robots in general, you can find other types of contact below.